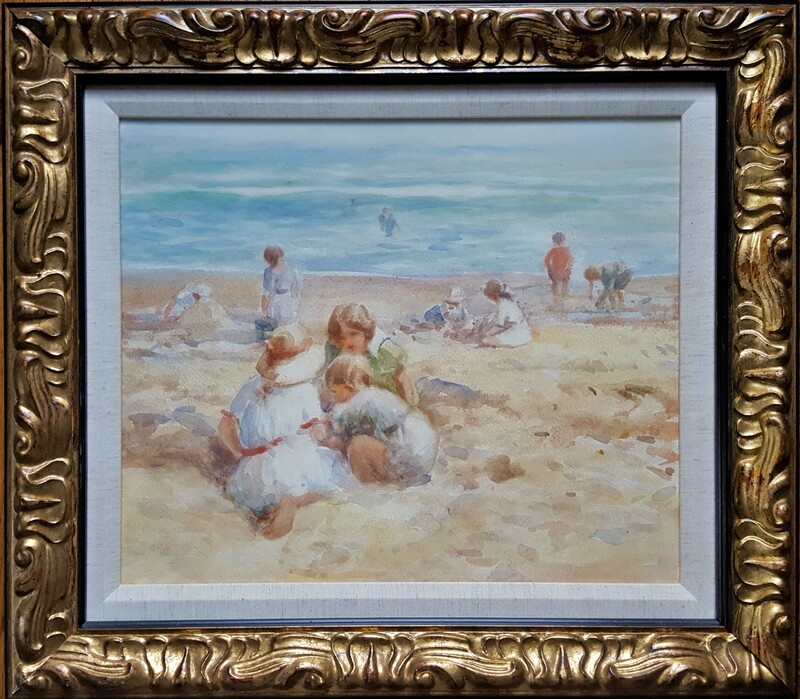 Title: "Children Playing on the Beach"
Image size: 15" x 18"
David Robertson - David T Robertson (1879 - 1952). Landscape, animal and portrait painter in oil and watercolour. He was born in Darlington, to Scottish parents he soon moved to Sunderland. He was largely a self taught artist although it is thought that he may have received some tuition from close friend, John Atkinson, and shared his preference for painting horses and cattle. 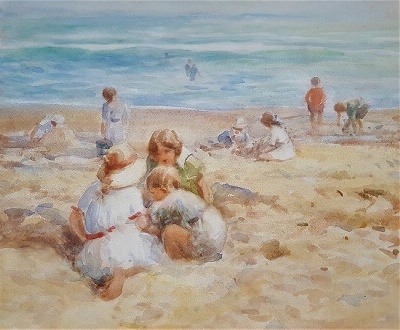 He exhibited his work at the Royal Scottish Academy and Society, the Berwick Club, Pen and Palette Society, Laing Art Gallery, Shipley Art Gallery, Gray Art Galleries and others around Durham and Cleveland.